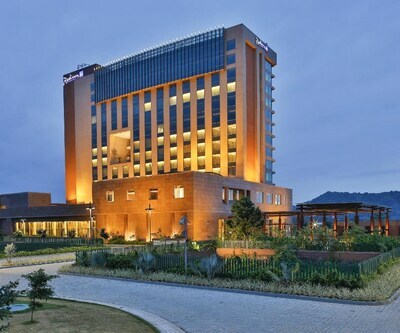 Guwahati is a place that has a boon of being one of the most beautiful places on earth. India is lucky enough to have this charming city. Located in the North Eastern state of India, Guwahati is considered as the second largest metropolitan area in East India after Kolkata. 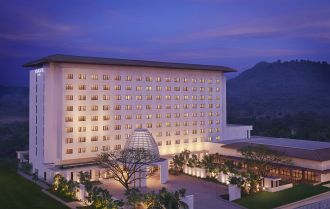 The City of Guwahati has Vivanta by Taj which is one of the Best 5 Star Hotels in Guwahati. 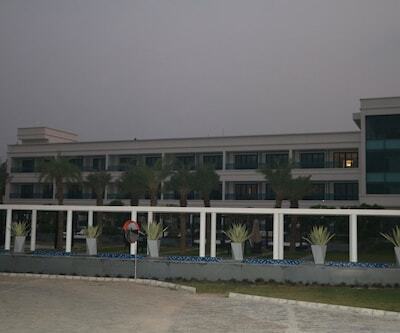 The property is situated at Near Assam Agriculture College at Khanapara in Guwahati. The accommodation units of the place are classified in five categories that are thoughtfully designed. These luxurious rooms are filled with AC, satellite television, intercom, telephone, Wi-Fi, tea maker, cozy sofa units and news-paper. The rooms are having elegantly designed big size windows that make the accommodation unit more lit and well-ventilated. Guests can savor lip-smacking dishes at in-house restaurant to pamper their taste buds at in-house multi-cuisine restaurant. Other facilities include txi service, Wi-Fi, dining hall, laundry, travel desk, well-fitted gym for fitness conscious, and a swimming pool for giving recreational experience, in-house coffee shop and many more. Guests can explore some famous tourist destinations like Kamkhya Temple, Umananda Island and Vashisht Temple which will give you some really good memories for life time. 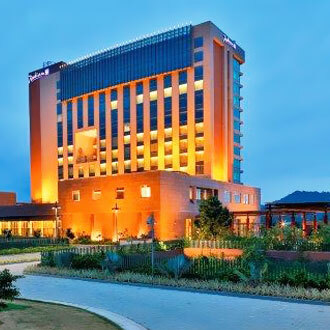 radisson blu hotel is also listed among the 5 Star Guwahati Hotels. Situated at the National Highway 37 in Guwahati this property is a synonym of luxury and extravagance. The hotel has well-groomed thoughtfully designed rooms. These rooms are filled with an encore of unmatchable amenities like wooden floorings, stylish lights with plush curtains along with the comfy beds, clean linen, coffee maker, working desk and many more. 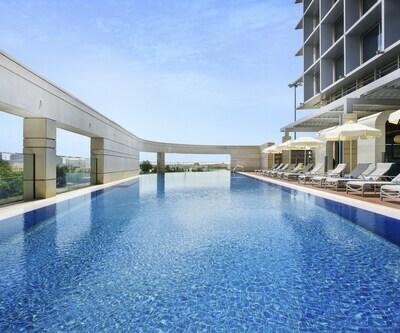 The hotel features a well- maintained and fully equipped gym where fitness freaks lose those extra kilos. There is a hot tub tagging along to offer an instant relief to tired muscles. Table bounds are served with the lip-smacking pan-Asian delicacies with the specialty in Mediterranean and Indian Cuisine. The bar in the hotel offers an array of sophisticated wide range of mock-tails that relish the evening of guests.